Soooo, here's a question I am asked a lot! "HOW DO I TAKE OFF MY MAKEUP, NATURALLY?". Well, let me tell you, there's plenty of ways.. you just need to decide on one! Before we get into the juicy natural remover chat.. let me quickly tell you WHY its so important to ditch the mainstream makeup removers. Did you know what you can find in regular toxic makeup remover? Me neither until I realised what certain ingredients were and how they affect the body! SODIUM LAURLY SULFATE While Sodium Lauryl Sulfate is used as a cleansing agent, it can also irritate the skin and eyes. Also linked to organ system toxicity. DIAZOLIDINYL – This antimicrobial preservative can cause allergic reactions in some people. If someone is allergic to Diazolidinyl Urea, they will experience red, swollen, itchy skin where the product was used. Diazolidinyl Urea can also irritate the eyes if it is applied too closely. Now, to the good news.. There's actually A LOT of ways to effectively take your makeup off using NATURAL products- woohoo! Plus, If you're already using natural and organic beauty items on your skin, they will come off easier than the "glue-like" toxic makeup anyway.. Talk about win-win! I just can't rave about natural oils enough! They are full of nourishing, hydrating and healing essential fatty acids, vitamins and minerals that help to feed and nurture the skin! They can be used to moisturise, heal.. AND remove makeup - effectively! You can use anything from Coconut, Rosehip, Jojoba and more.. though my favourite is COCONUT OIL. Not only will you be removing your makeup, you will also be moisturising your skin at the same time and not stripping it of its amazing natural oils! 1. 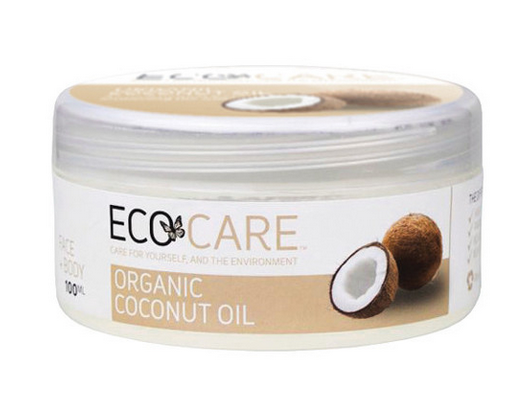 Simply apply coconut oil to makeup-ed face and let sit for 30 seconds. 2. Gently remove coconut oil, along with your makeup, using a clean cotton pad. *Use organic cotton pads when possible too as you don't want to be rubbing your face with chemical laden cotton. 3. Cleanse as normal using Natural face wash to remove any additional residue. PLEASE NOTE* Everyone's skin is different, so some oils may work better with your skin type than others, its sometimes about trial and error my friends. OR if oil isn't your jam.. you can now find a natural alternative to the bottled stuff!! WOOP WOOP! THE PRO's - Ceritifed Organic and made with a base of Aloe Vera, Rose, Witch hazel and Peony and Hyaluronic Acid (known to plump and hydrate dry skin) - this remover is super gentle and soft of the skin and has no toxic nasties! FAB right?